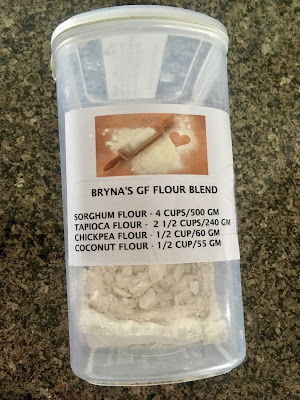 Over many years of baking gluten free I have tried different flours and countless mixtures of various flours. Finally, I am getting the perfect texture, fluffiness and moisture that I love in my baked goods. People often ask if my baked goods are gluten free (even though they know I do not eat gIuten) and comment that it doesn’t taste different from those made with wheat flour. I decided to make up a batch of my perfect blend and use it cup for cup wherever flour is needed in a recipe. This blend is great for baked goods such as cakes, cookies, pies, biscuits, scones, streusel, etc. It is notthe go to mix for breads, which I am still working on. It is so convenient to measure out one type of flour for each recipe instead of three or four different ones. It makes gluten free baking so much easier. I do not know why I didn’t do this a long time ago. Xanthan gum can be added to each recipe as needed. I do not put it into the flour mixture as different baked goods require varying amounts. Some recipes for pancakes, crepes etc don’t need any, cakes will need ¾ tsp - 1 ½ depending on the cake, while cookies only need about ½ tsp. 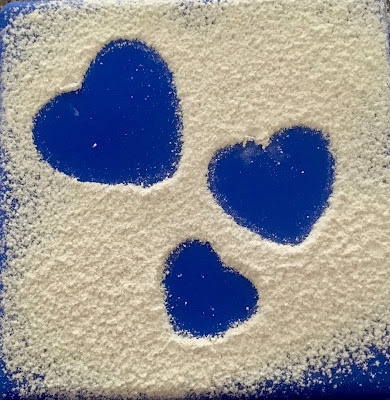 Today I am sharing my secret flour blend recipe with you. I make up several bags of it at a time for convenience as I do a lot of baking. Each batch weighs 1lb. 14 oz. or 865 gm. It is best touse a kitchen scale to weigh out a precise amount of flour. If you do not have a scale, spoon the flour blend into a measuring cup and then level it off. 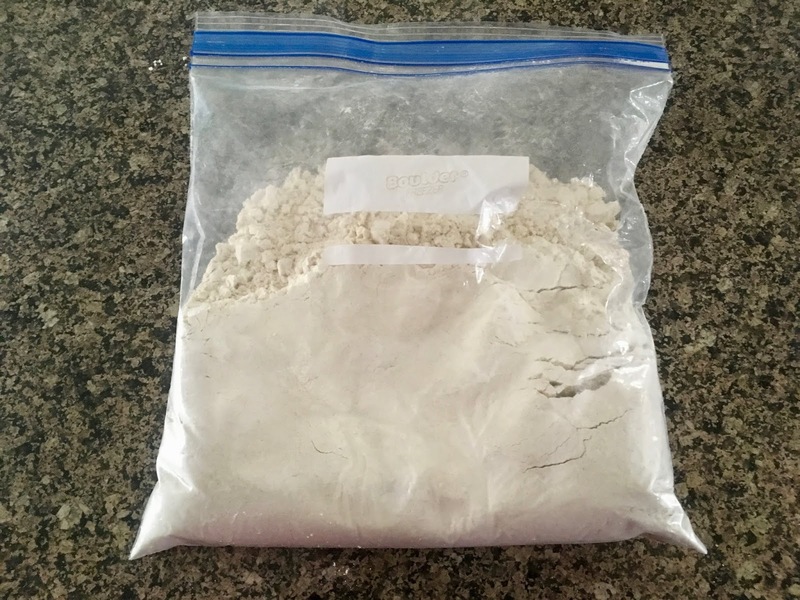 Do not scoop out a measuring cup of flour directly from the container as it will be too compacted and measure out much more flour than the recipe calls for. Add all of the flours to a bag or container. Seal and shake to mix well. Its best to use a kitchen scale to weigh out a precise amount of flour. If you do not have a scale spoon the flour blend into a measuring cup and then level it off. Do not scoop out a measuring cup of flour directly from the container as it will be too compacted and hold much more flour than the recipe calls for. 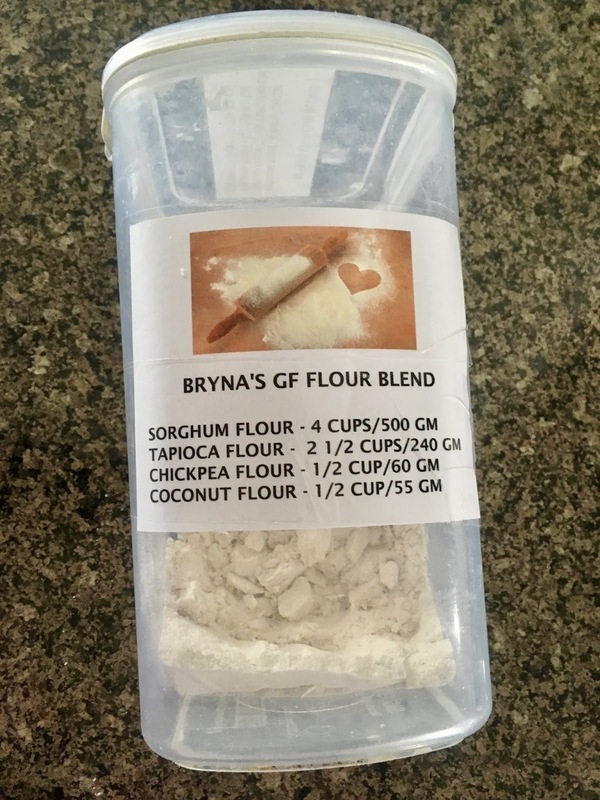 A bag of my secret gf flour blend.